Getting organized will help you in so many ways. 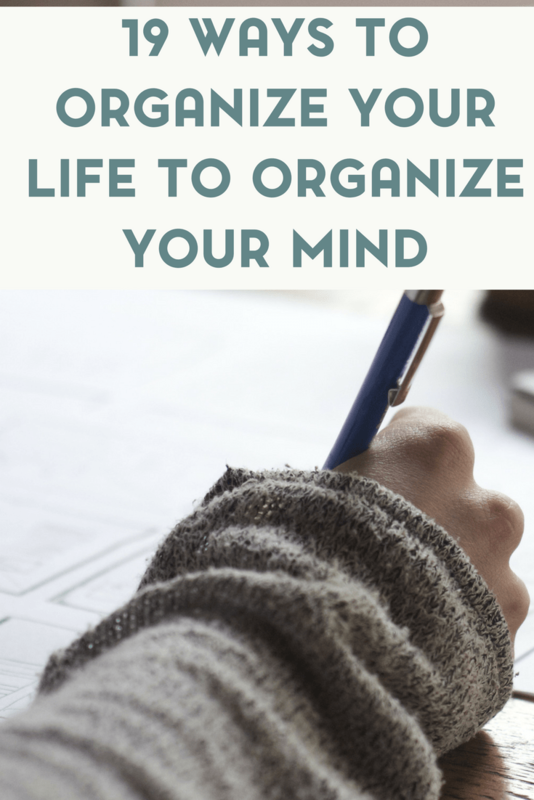 But have you ever considered the ways to organize your life that organize your mind? We know that clutter affects your life and that clutter can affect your stress levels. This is something that we talk about quite a bit in our home organization tips for moms. In our ever increasingly hectic lives, it can be difficult to stay organized. 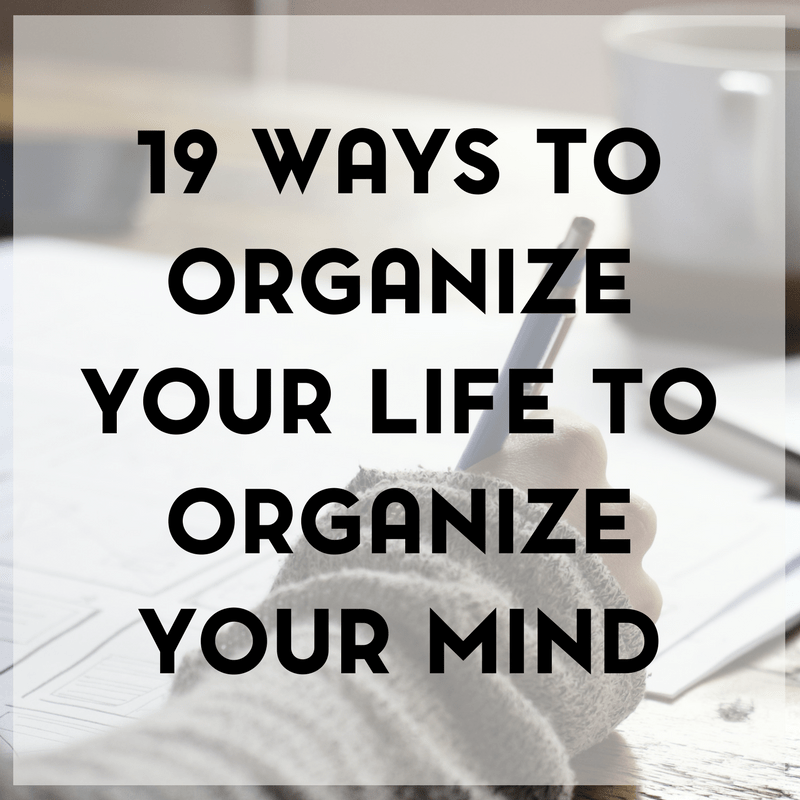 It turns out that, if we don’t organize our lives, we can’t stay organized in our minds. Staying or getting organized can be somewhat of a chore but, if it helps keep your head straight, it’s worth the effort. 1. Write down things you need to remember. Never rely on your memory to keep things straight. 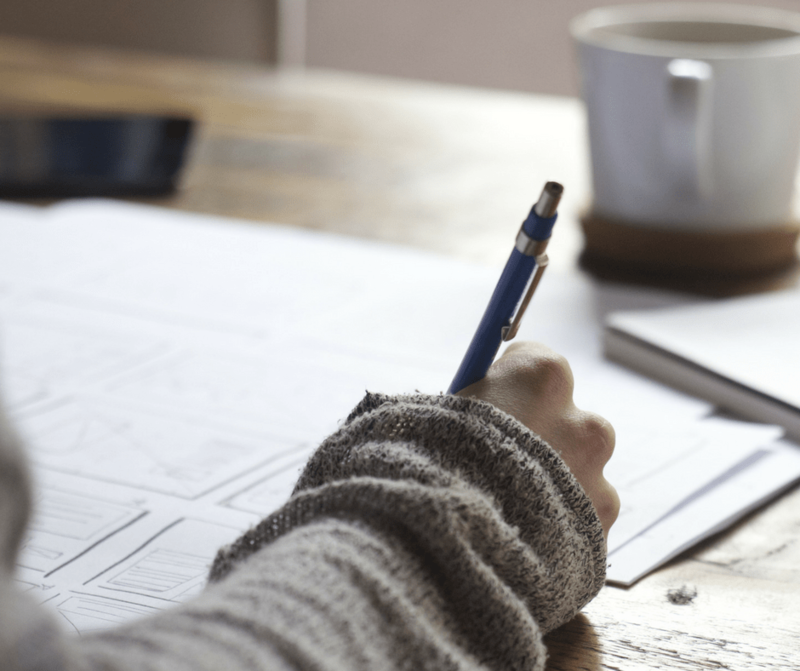 Lists can be very beneficial, especially if you live an otherwise hectic life. Use a small notebook or a digital notebook to put down all your to-do lists so you don’t forget anything. 2. Back up Everything. This means having duplicate home and automobile keys backed up computer files, and backups of anything that is important and that would be problematic if lost. 3. Put everything in its proper place. Make sure your clothes are folded and sorted, returning to their usual location. Organize your cooking spaces so that you can always know where to find anything. This can take a while but it will save time in the end. Eliminate clutter from your home today. 4. Make backups of your photographs. If you’re concerned, you may lose any of your precious photographs, take then to the photo shop and get a duplicate. They can be scanned onto a DVD disc or you can make paper copies of those photographs you never want to lose sight of. 5. Keep things clean. This means removing any clutter that has a tendency to build up if you aren’t on top of it at all times. If your house is clean, you won’t have to spend so much time finding things that have gotten lost in the clutter. Furthermore, research proves that when you de-clutter your spaces, it effects the mind much in the same way. 6. Keep spaces clean that are prone to clutter. This involves keeping the dining room table, the nightstand, and places like the bedroom drawers neat and tidy. These are places clutter tends to build up in and they need special attention to keep them clean every day. This post contains affiliate links. While you are under no obligation to make a purchase, by doing so you are supporting my site. 7. Get an app for money management. Buy a money management app, such as Quicken in order to keep track of your bills and when they are due to be paid. You can even keep track of your grocery receipts and lists of those things that you forget you actually spent money on. This will help keep you sane and keep you on a budget. 8. Donate things you don’t need and recycle what you can. If you haven’t used something for a long time, the chances are good that you’ll never use it. This might be something that someone else can really use. Donate it to your favorite charity. In addition, anything that can be recycled should be put in a designated recycling bin. 9. Throw something away before buying something new. This will help keep your house from being too cluttered. Find something you don’t use and sell it, give it away, or throw it away before buying something new to replace it. 10. Keep track of expiration dates. It is bad for your heath to eat food that has passed its expiration date. The same is true of prescription and over the counter medications that you may be storing for a rainy day. 11. Delegate tasks to others. You will find it easier to declutter your house if you get some help doing it. Make cleaning up a family affair so you don’t wind up doing everything yourself. It’s not just your mess in the first place. In need of tips to help with this? Check out these 10 ways to deal with clutter. 12. Make an information center to keep track of schedules. If everyone in the family has things to do, put it all on a calendar so that you can keep track of where everyone is and can spot problems where two people need the car for the same time period. If you synchronize your life with your family members, everyone will stay on task and nothing will be left undone. Using checklists to get organized will also go a long way! 13. Put things away right away. Now that you have a designated spot for everything, try putting whatever it is back where it belongs as soon as you are done with it. This will keep your house organized and will save you the time it would take to hunt it down again. 14. Keep all your passwords in one place. While passwords are important for security reasons, if you don’t remember your password, it will do you no good. Put all the passwords in a safe place so that you can look it up if you forget a password when you really need it. 15. Practice unsubscribing from all those email newsletters. Since you usually just delete them anyway, why not unsubscribe from them before they take up all the room in your inbox. The same is true of catalogs and magazines that you never read. If nothing else, you’ll save a tree. 16. Make an inventory of things you need. Keep track of things like toiletries and home cleaning items so you don’t keep buying them over and over again. When you have an inventory, you’ll only need to replace things when you run out of them. 17. Label perishable items and leftovers. This keeps you from having them build up in your refrigerator. Many things in the refrigerator go bad and, if you label when you opened them, you won’t have to throw them out after they’ve gotten moldy. 18. Create cleaning schedules. It is just too hard to clean the entire house and yard all in one day. Instead, have a schedule for cleaning certain things on certain days. 19. Get an app for task management. Download a task management app to your phone so you won’t have to keep track of every little thing you have to do. You don’t have to do all of these organizing things all at once. After you have completed them, however, your mind will be decluttered and you will enjoy your life more.